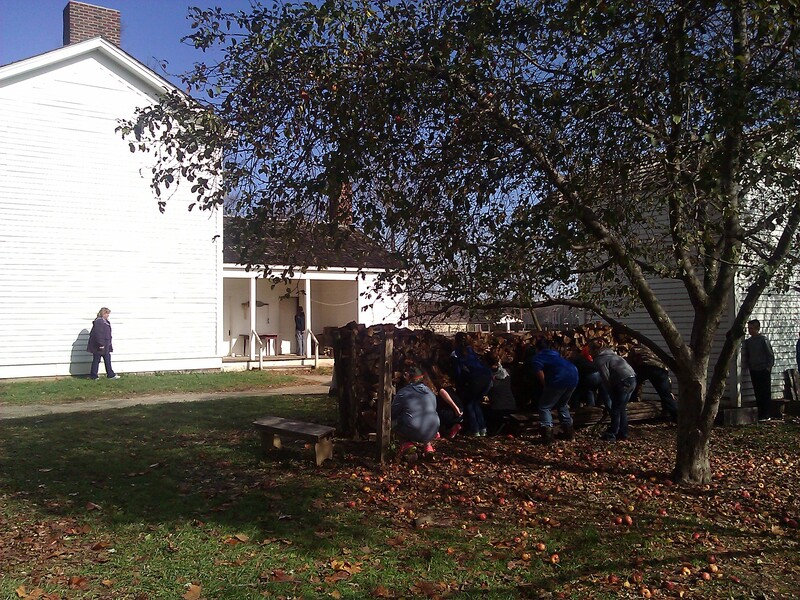 On a recent sunny Wednesday morning I found myself in Indiana with a group of eighth graders (none of whom I knew), wearing very uncomfortable nineteenth-century period shoes, and running from a slave catcher. What? Let me explain. I was at Conner Prairie, a history museum (or interactive history park as it describes itself) outside of Indianapolis, promoting my recent book, A Grizzly in the Mail and Other Adventures in American History. Sadly, this innovative history site was closed to the public that day, but the staff offered me the opportunity to participate in their award-winning program “Follow the North Star.” In its sixteenth year, the program is popular and often sold out. I had heard much about it and wanted to experience it. So there I was, eyes darting around not knowing who we would run into next. I was feeling unsettled, anxious. We were runaway slaves on a 200-acre stage. Utilizing the immersive setting of an 1836 town on the edge of the prairie, the program is an intense hands and minds-on experience in role play. Our group of sixteen had already encountered a very mean older woman slave owner and her nasty son. They had screamed in our faces and told us never ever to look white people in the eye. We’d also encountered three young girls who held some degree of sympathy for us but clearly didn’t want “our kind” around and were not going to offer any aid. Then there was a clearly unbalanced young man who blamed all black people for the death of his baby girl and his wife, without cause. In a rage, he wildly flung his gun around. On our way to a supposed “safe” house, a man intercepted us and directed us into a house. Under the pretense that he was protecting us from a slave catcher he had spotted, he soon revealed a darker side. Suddenly we were in danger again. On this ninety-minute roller coaster ride of a program, we did eventually encounter some who offered what help they could. Two Quakers who gave us a little money and directions. The kindly older gentleman and his wife instructed us to look them in the eye, we were all equal under God. Later, another woman, a free person of color, offered advice and directions to a settlement of freedmen. The program ended with a debriefing and I was fascinated to hear the students process their experience. The facilitator did a good job with making comparison with human trafficking in today’s world. It was clear that many of the students were deeply affected. The teacher told me she’d been bringing her class every year for fifteen years. I was glad that I was given the opportunity to experience the program, and just a little happy that it hadn’t been in the darkness of night. 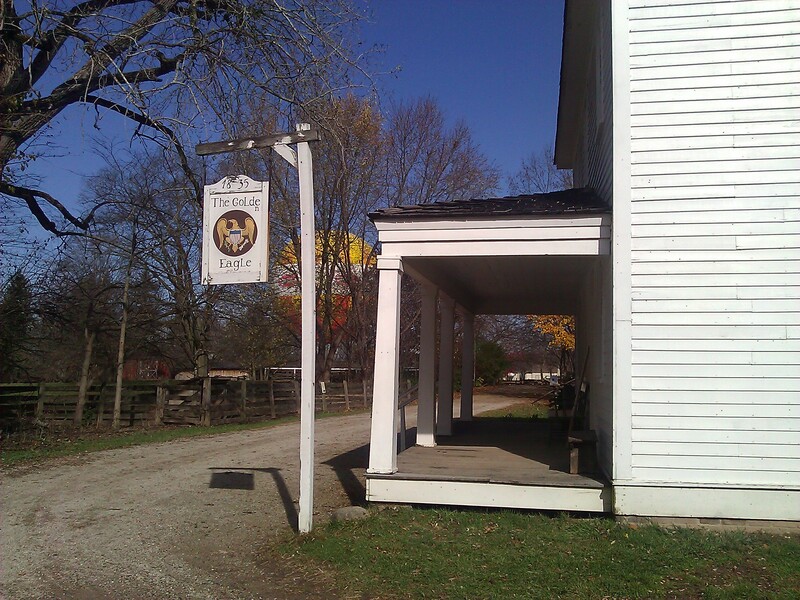 Conner Prairie offers many other innovative programs, including an 1859 balloon ride and an 1863 Civil War journey. Watch a video about the Follow the North Star program. Read a review “The Discomfort Zone: Reenacting Slavery at Conner Prairie” from the Organization of American Historians magazine. Have you experienced Follow the North Star? What did you think of it? This entry was posted in 19th century, civil rights and tagged conner prairie, IN, runaway, slavery. Bookmark the permalink.